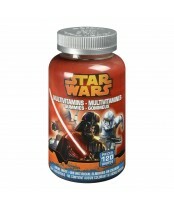 NatureSmart, LLC is proud to be the manufacturer behind Disney multivitamins for kids. Each and every NatureSmart, LLC multivitamin and nutritional supplement is created to provide you with the very best in nutritional quality. Their products are guaranteed to deliver the highest industry-wide standards for quality, purity and potency.